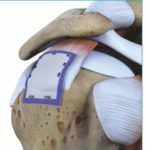 Partial Rotator Cuff Tears: Do I Need Surgery? Partial rotator cuff tears are a very common cause of shoulder pain. There seems to be a lot of confusion about the proper treatment of partial rotator cuff tears. I receive many questions through this website and our Facebook page about this topic each week. Let’s go into further detail about partial rotator cuff tears and whether or not surgery is necessary. Why did I develop a partial rotator cuff tear? How do you treat a partial tear? Do I need surgery for a partial tear? Can I live an active life with a partial tear? Can a partial rotator cuff tear become larger over time? Why Do I Have A Partial Rotator Cuff Tear? The primary cause of rotator cuff tears is a process we refer to as degenerative rotator cuff tendinosis. With tendinosis, our rotator cuff tendons start to wear out. Just like an old pair of socks or your favorite pair of blue jeans. Tendinosis is not caused by trauma or injury. How Do You Treat A Partial Rotator Cuff Tear? Most people will respond to certain supplements, a support or compression sleeve, an ice compression support, and activity modification. The majority of people with partial rotator cuff tears will respond well to physical therapy. The therapy will focus on making sure you have a full range of motion of your shoulder. As shoulder motion is improved, the therapist will focus on exercises for your rotator cuff and the muscles surrounding your scapula or shoulder blade. Can Partial Tears Heal Without Surgery? The research has recently shown that some partial rotator cuff tears will heal without surgery. We have learned a lot about these partial tears over the last few years. Some tears stay the same size over time, some of them will heal, and a few will become larger. Unfortunately we can not predict which tears will heal or progress. What this means is that a partial tear in a typical adult shoulder is not in and of itself a reason to consider surgery. Like many shoulder issues, we try physical therapy, and in some instances wait for many months to see if the condition will settle down on its own. Very few people will go on to require surgery. And recovery from surgery for a partial tear can take many months too. So it is worth the investment into physical therapy and a home exercises program before considering diving into surgery as an option. Do I Need Surgery For A Partial Rotator Cuff Tear? Most of you who are suffering from shoulder pain due to rotator cuff tendinosis and partial tears will respond to physical therapy and will not go on to require surgery. In addition to the therapy, your doctor will occasionally consider injections or over the counter medications. If your pain does not respond to physical therapy AND you feel that your quality of life is poor, then you can consider surgery as an option. The surgical options for rotator cuff tendinosis are changing as we gain a better understanding of the biological process. Can A Partial Tear Become Larger Over Time? The short answer is yes. 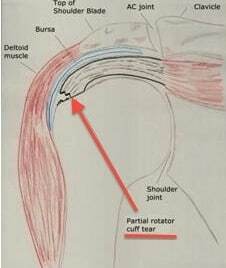 Over many years a partial tear might become larger and form a full thickness rotator cuff tear. AGAIN..this is a degenerative process, so as the degeneration progresses, your tear can become larger. Rotator cuff tears do not become larger overnight. It can take many many years for the process to evolve. In general, you should not consider surgery now to prevent the tear from becoming larger. If you are considering surgery now it is because you have tried physical therapy for a few months, and you have tried injections or medications AND your pain persists. Only a few of you will need to consider surgery if you adhere to a proper non-surgical regimen. There is no hard evidence that shows that we can affect the natural history of tendinosis. That means that you should only consider surgery now if you have significant pain that is not responding to non-surgical measures. The vast majority of you will return to an active lifestyle after the treatment for a partial rotator cuff tear due to rotator cuff tendinosis. The surgical treatment of partial rotator cuff tears and rotator cuff tendinosis is evolving. We now have a biological patch that we can implant in your shoulder which shows promise in reversing tendinosis and healing partial thickness tears. Dr., I fell on my shoulder skiing on March 3 of this year and a few days later saw an orthopedist who diagnosed it as a strain. I immediately started PT but was still in considerable pain. Went back to the ortho and got an MRI that showed a partial tear of the infraspinatus. He diagnostically suspected a labral tear as well but didn’t want to do an arthogram as he felt there was no need for the invasive test if we weren’t doing surgery. I’ve been doing PT almost daily now since March 14th and range of motion is very good with minimal pain except for external rotation where I’ve just finally surpassed 90 degrees. Pain is minimal at night now after a rough second month and my daily activities for the most part aren’t affected. I still however seem to take 2 steps forward and 1 back with therapy as I occasionally do something that tweaks the infraspinatus and brings pain back to that area and the side of my arm. I also have a lot of shoulder clicking and a catching sensation on the side of the shoulder, presumably where the infraspinatus tendon attaches to the humerus. My question is how long will the recovery take? It’s been almost 3 months and while I know I’ve progressed greatly, I’m concerned it’s not fast enough or it won’t get any better. I still need to be careful when lifting things and have yet to be able to return to golf which I thought I’d be able to do by now with just a partial tear. I am a 46 year old male and the injury is to my non dominant shoulder. Any help would be much appreciated! Actually a very common story…. As long as you are improving, regardless of how slowly, continuing with your stretches and exercises are worthwhile. I’m a 59 year old female and play golf about once per week. Recently lost about 20 lbs in the last 6 months due to changing food choices and exercise. 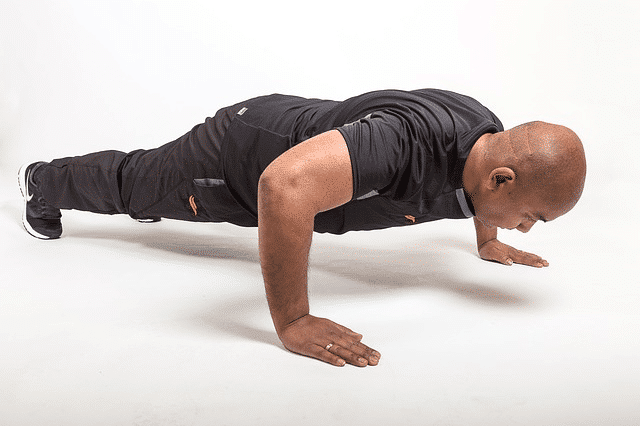 The exercise includes military style push-ups and planks most days of the week. Over the last few weeks I’ve started to experience popping and a limited range of motion in my right shoulder. Could I have inadvertently injured myself? At 59 your rotator cuff is starting to show its age… it’s a process we refer to as tendinosis. It’s not unusual for our shoulders to ache or hurt after starting a workout program. Often times that discomfort will subside. If the pain continues on for a few weeks / months and starts to interfere with your quality of life then you can consider having a shoulder doc examine you.